States would bear primary responsibility for curbing pollution that sweeps off farms and streets in the Mississippi River Basin under a new federal plan for addressing a vast "dead zone" for marine life in the Gulf of Mexico. The Mississippi River/Gulf of Mexico Watershed Nutrient Task Force plan is aimed at revitalizing a hypoxic zone the size of New Jersey caused by excessive nitrogen and phosphorus pouring out of the Mississippi River. High concentrations of nutrients mixing with warm gulf water causes seasonal dissolved oxygen levels to drop dramatically, smothering fish and other marine life. The hypoxia process begins with an explosion of nutrient-loving algae, which in turn settles and decays in subsurface waters. The decaying algae consume virtually all of the oxygen in the water column, usually at a rate faster than it can be replenished at the surface. The result is a broad, lifeless swath of the gulf that is biologically and economically bereft, according to experts who study the phenomenon. Among other things, the new action plan increases both state and federal accountability for reducing pollution in the basin; shifts more responsibility to states for crafting and implementing nutrient reduction strategies; requires federal agencies to develop pollution reduction strategies around key federal projects, and improves tools for both tracking and reporting pollution. The task force — which was headed by U.S. EPA — has set a goal for reducing the dead zone to a five-year running average of less than 5,000 square kilometers by 2015. Ben Grumbles, EPA’s assistant administrator for water, said in a statement the Bush administration and its 10 state partners on the task force remain "committed to improving water quality and reducing nutrient pollution in America’s largest watershed." But some experts remain skeptical that the new plan will improve conditions in the basin, and they are particularly critical of provisions placing more responsibility on states to develop and enforce tough pollution policies. 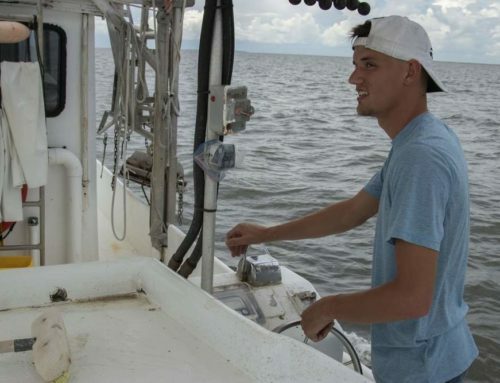 "The only reason we have improved water quality across much of the nation to this point is because of the EPA’s broad enforcement of the Clean Water Act," said Nancy Rabalais, one of the nation’s foremost experts on the Gulf of Mexico dead zone and executive director of the Louisiana Universities Marine Consortium. "Some states are just flat not going to institute the right levels to make a difference." 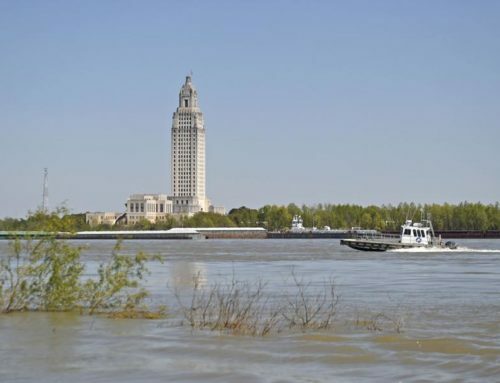 Just last month, the National Academy of Science issued its own stinging report on the government’s management of the Mississippi River Basin, saying EPA and other federal agencies had effectively "orphaned" the river by failing to effectively coordinate state and federal efforts to stem the massive inflows of nutrient pollution from farm fields, cities, suburbs and other sources (Greenwire, Oct. 16). Rabalais said the new action plan appears "to run counter to the strong recommendations of the National Academy." 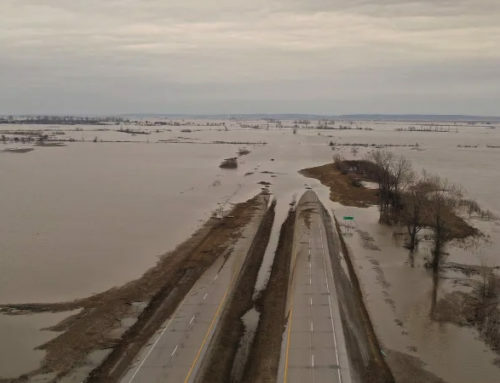 The plan, which is open for public comment until Jan. 4, is in part a response to long-held concerns that pollution reduction efforts on the Mississippi River have been hamstrung by lack of coordination and conflicting priorities among state and federal agencies. Grumbles called the revised document "a roadmap for real progress through cooperative conservation, interstate collaboration and local innovation." 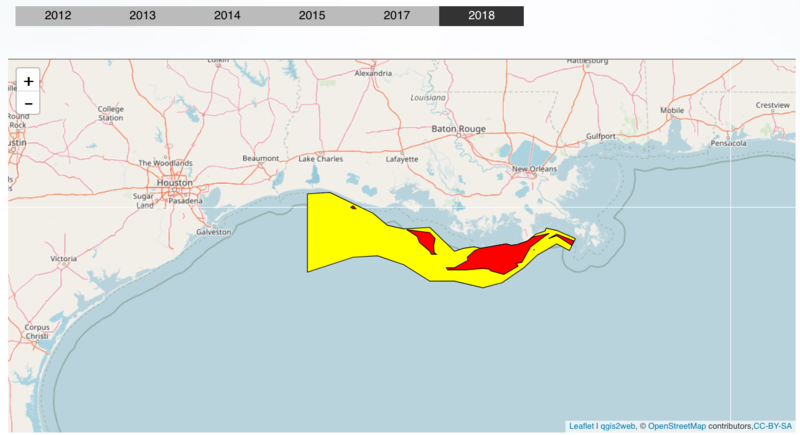 The Gulf of Mexico dead zone, first documented more than 20 years ago, has grown dramatically in recent years, from roughly 8,000 square kilometers in 2003 to more than double that size in 2006. Experts attribute the increase to both human and natural activity. 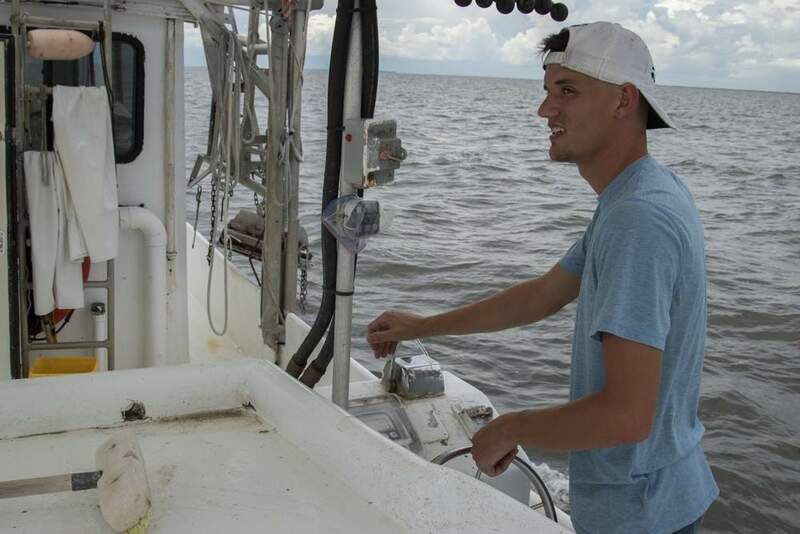 In July, experts from the National Oceanic and Atmospheric Administration, the Louisiana Universities Marine Consortium and Louisiana State University forecast that the dead zone could reach its greatest size since measurement began in 1985. 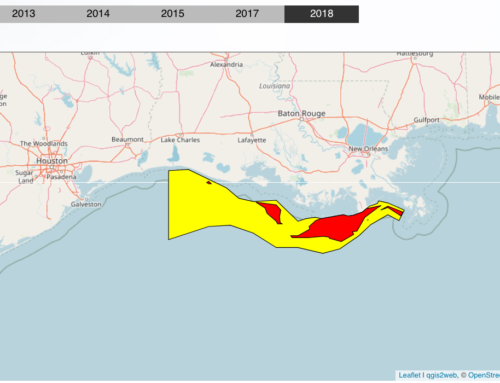 The prediction did not come true, but the dead zone nevertheless expanded to cover a contiguous area from easternmost Louisiana to Freeport, Texas, according to Rabalais. Only twice before, in 2001 and 2002, did the dead zone’s size reach greater than 20,000 square kilometers, an area about the size of New Jersey. According to the latest government data, the Ohio and Tennessee watersheds remain the largest contributors of both nitrogen and phosphorus, accounting for 40 percent and 38 percent, respectively, of total loading between 2001 and 2005. 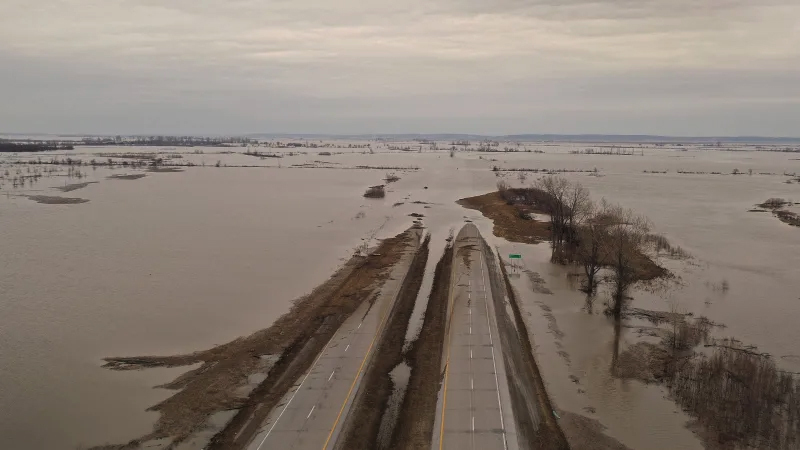 The Upper Mississippi Basin, north of Paducah, Ky., was the second-largest contributor of nutrient pollution, accounting for 39 percent of nitrogen and 26 percent of total phosphorus. Click here to review the draft Gulf Hypoxia Action Plan. 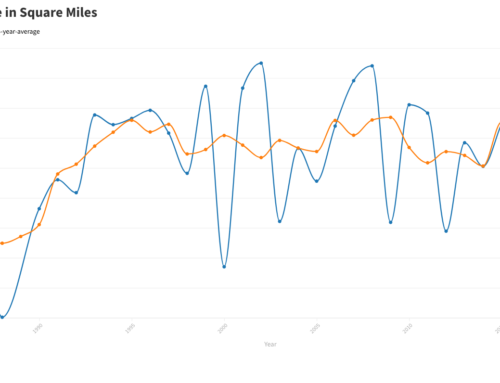 Click here to start a free trial to E&E — the best way to track policy and markets. Greenwire is written and produced by the staff of E&E Publishing, LLC. The one-stop source for those who need to stay on top of all of today’s major energy and environmental action with an average of more than 20 stories a day, Greenwire covers the complete spectrum, from electricity industry restructuring to Clean Air Act litigation to public lands management. 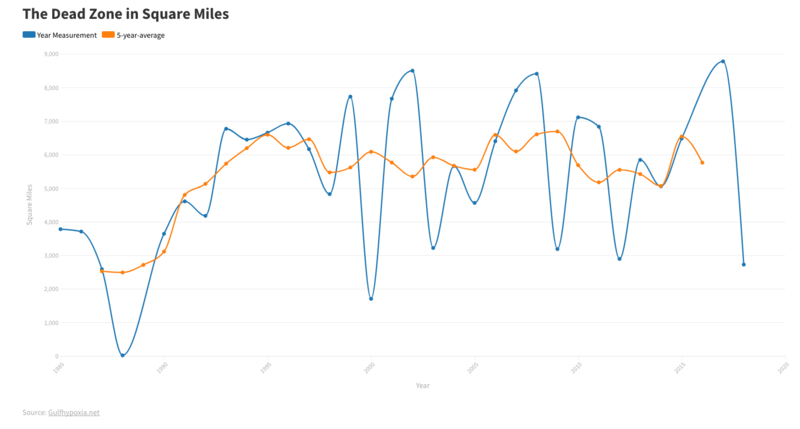 Greenwire publishes daily at Noon.